When you work on your Mac, you probably spend a lot of time mousing and clicking, opening and closing folders and windows as you search for files, work with them, move them and send them to colleagues. But you can work with the Finder much more efficiently from the keyboard: you can navigate the Finder, copy and paste files, move folders and much more. If you keep your hands on your keyboard, you can save time, and, especially, keep your hands in one place, which can help avoid repetitive stress injuries. 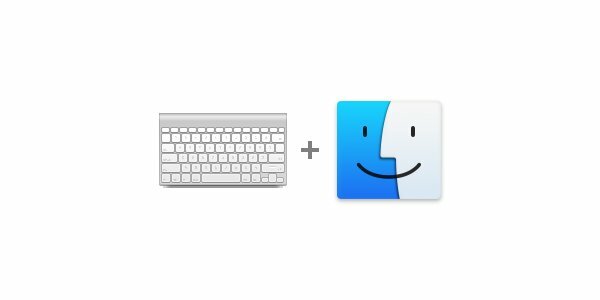 Here's how you can save time and work with the OS X Finder from the keyboard. If you don't already know this, the first thing to learn is that you can get to the Finder very quickly by pressing a couple of keys on your keyboard. Instead of clicking the Finder icon in the Dock, or clicking on a window, just press Command-Tab to bring up the OS X application switcher. Keep holding the Command key, and press Tab repeatedly to cycle through the apps you see in the bezel that displays on-screen. When you see the Finder icon—or the icon for any app you want to use—release the keys to switch to that app. 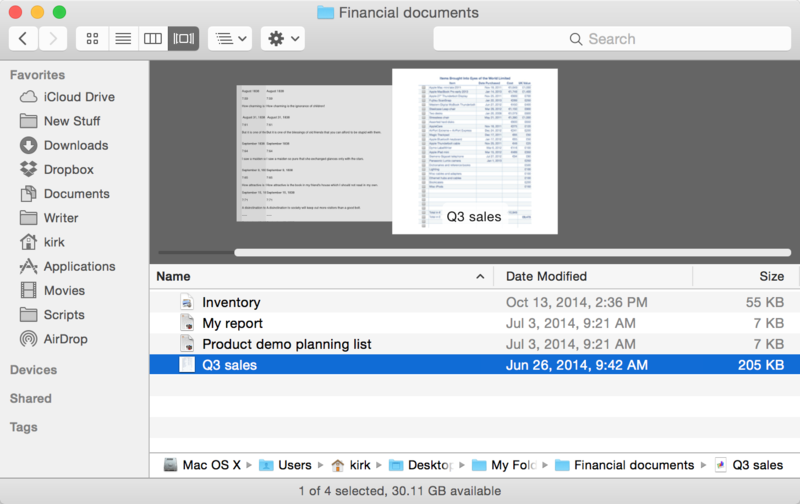 The OS X Finder offers four different ways for you to view your content. 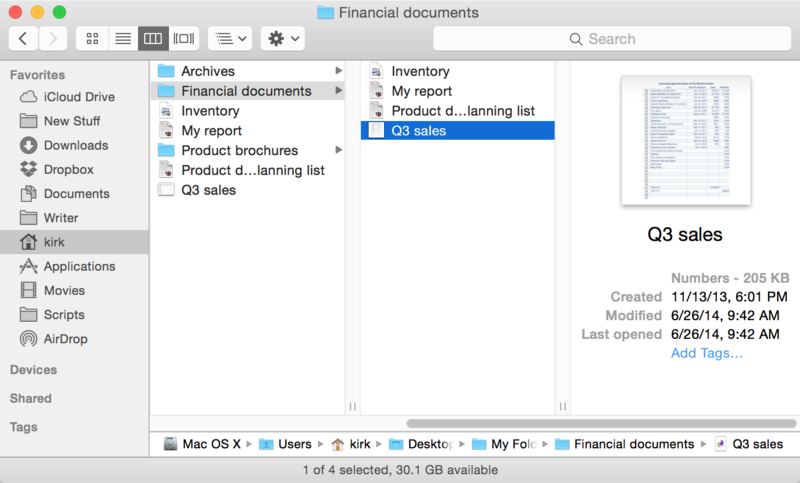 You can view items in Finder windows by Icons, List, Columns or Cover Flow. You can switch to one of these views from the Finder's View menu, or you can click on of the View buttons in the Finder's toolbar. Most people stick with just one view, but if you want to change views quickly, you can use keyboard shortcuts that show in the View menu: Command-1 for Icons view, Command-2 for List view, Command-3 for Columns view, and Command-4 for Cover Flow. Once you're in a specific view, you can move around using the arrow keys, sometimes in combination with modifiers keys (mainly the Command key). Here's how this works for the different views. When you're in Icons view, you can quickly move around, enter folders, select files and more, just from the keyboard. Open a folder with some files, and you'll see that none of them are selected. If you press the right-arrow key, or the down-arrow key, the top-left item is selected. To select a different file, just use the arrow keys: you can arrow up or down, right or left, and select any item. To open a file, press Command-down-arrow. Or to open a folder, use the same shortcut. Once you're inside a folder, you can move around in the same way, but you can also go back up to the enclosing folder; the one you came from. To do this, press Command-up-arrow. So, in the screenshot above, I could press Command-down-arrow to enter the Archives folder, browse for something, then press Command-up-arrow to get back where I started. It's important to know that there are lots of keyboard shortcuts available once you've selected an item. You can copy it by pressing Command-C; you may then want to move into a folder and paste the file, using Command-V, or paste it into an email message using the same keyboard shortcut. You can duplicate an item with Command-D; print it with Command-P; make an alias with Command-L; or see information about the item with Command-I. If you use List view, the arrow-key shortcuts work a bit differently. Lists are simple, and you navigate essentially using the up- and down-arrow keys. You can enter a folder and view its contents (press Command-down-arrow), but you can also expand a folder, showing its contents along with the rest of the items in the current folder. For example, lets say I'm in List view, and I want to see the contents of the Financial Documents folder without opening that folder. I can just arrow down to the folder, then press the right-arrow key; the folder expands. To collapse the folder, press the left-arrow key. Column view is designed to be navigated using the keyboard. When you're in this view, you navigate up and down using the arrow keys, and to enter a folder, or open a file, press the right-arrow key; to go back up a level, press the left-arrow key. While you move horizontally, remember that you're actually moving up and down in the Finder hierarchy as you move left and right. Cover Flow view is a combination view. On the one hand, it shows large previews of documents in a pane in the top half of the Finder window. 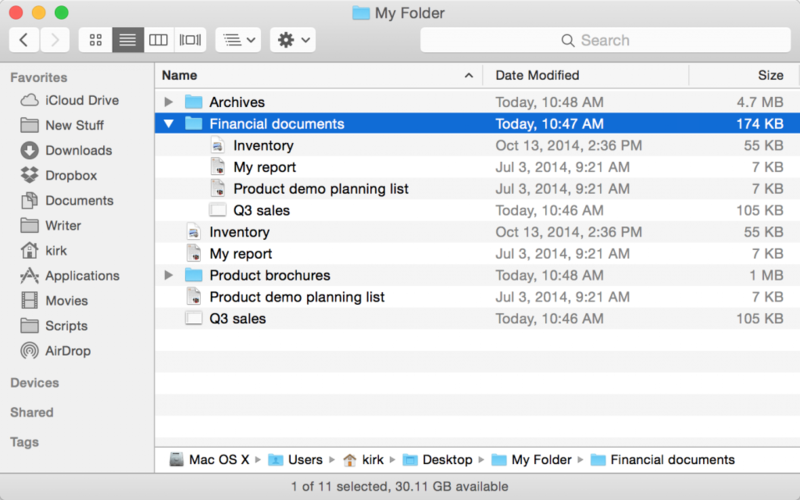 Below that, files and folders display in List view. However, there is a difference in the way the List view section works. Earlier, when describing List view, I explained that you can expand and collapse folders by pressing the right-arrow or left-arrow keys. 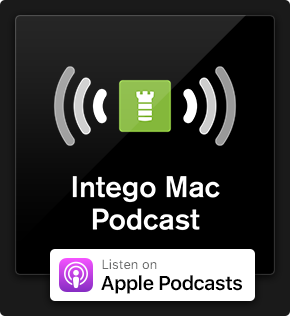 In Cover Flow view, this doesn't work; those arrow keys only select different documents and display their previews in the top section of the window. To collapse or expand folders in Cover Flow view, you need to add the Command key; in other words, press Command-right-arrow or Command-left-arrow. You can still enter folders by pressing Command-down-arrow, and go up a level with Command-up-arrow. With these different Finder views and keyboard navigation shortcuts, you can save lots of time working on your Mac and move around your files and folders more quickly. 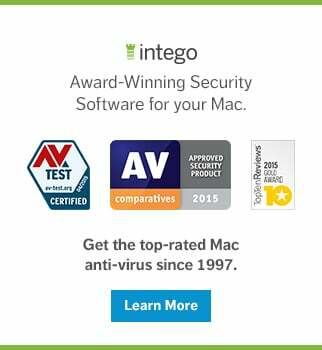 Try them out and see if they change your workflow. This entry was posted in Apple, How To and tagged Finder, keyboard shortcuts, OS X. Bookmark the permalink.